Upright evergreen selection is sure to attract attention! 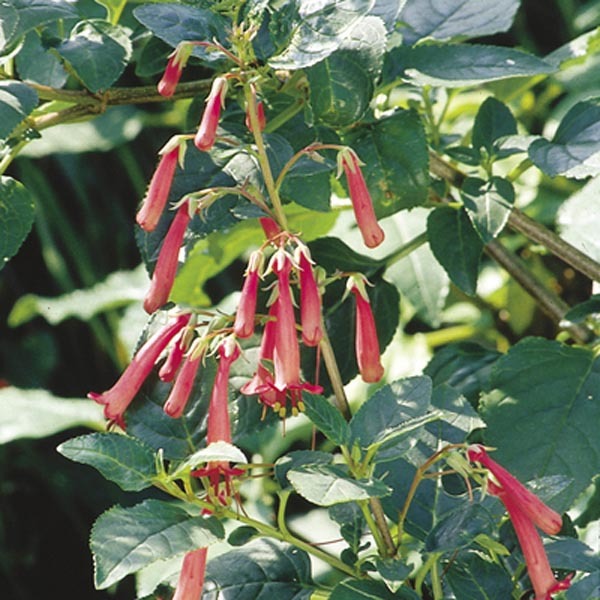 Provides an elegant, long-season display of pendulous, tubular blooms. The flowers are loved by hummingbirds. Excellent for planting along fences and walls. Plant in fertile, well-drained soil. Water freely in dry weather.